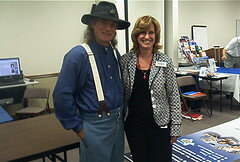 This morning, I’m packing to go to the W. Walworth Harrison Public Library in Greenville, Texas to present my Jim Limber story and my Civil War program. Library and Instructional Media Services. 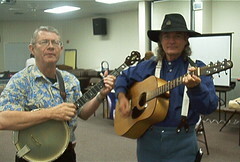 The 2nd photo is of Dan Gibson, storyteller and a firstclass banjoplayer. As you can see, we serenaded the librarians a little bit.